The 2017 Toyota 86 is one of the few affordable sport coupes in the automotive industry, making it the perfect choice for those consumers that want a sports car without a ridiculously high price tag. It comes with a number of standard track-ready features, including sport bucket seats, and technologies like standard Aha Radio and Bluetooth. With the perfect balance of performance-oriented style and and tech-savvy comforts, this coupe will make driving fun again. The 2017 Toyota 86 is available with a manual or automatic transmission. 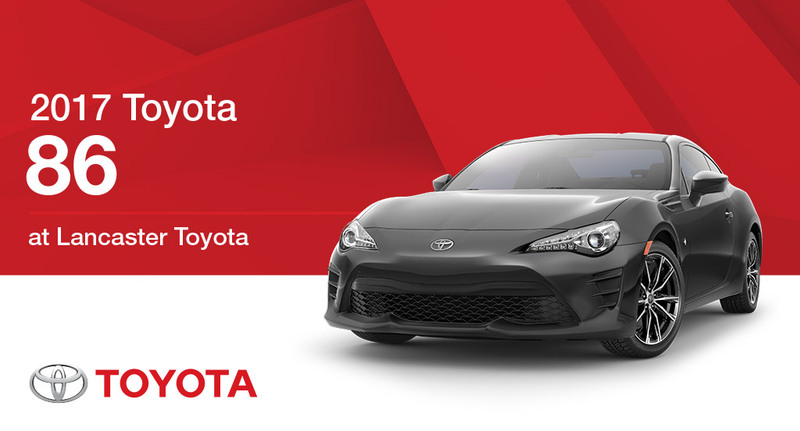 With the 2017 Toyota 86, you can have the sports car of your dreams without busting your budget. The 2.0-liter Boxer-Four engine churns out plenty of power to give you that racetrack experience while out on the open road. If you want to combine your love of racing with your everyday vehicle, then look no further than the Toyota 86. * 2016 EPA-estimated city/highway mileage. Actual mileage will vary.